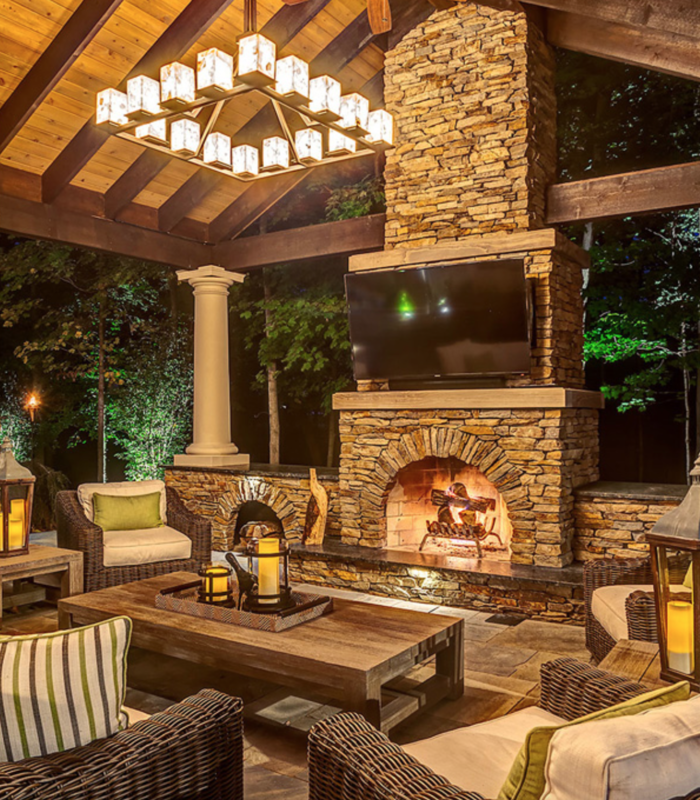 What’s better than snuggling up by a fire pit while the weather gets cooler? Adding a fire pit to your home will help you spend more time outside and is the perfect way to entertain guests during the fall. What’s better than sharing memories and stories by the light of the fire underneath the stars? If you add a firepit to your home, you are sure to enjoy hours of outdoor entertainment and break up the monotony of staying inside all day due to the cold weather. A patio is also a great way to entertain in the cool months. 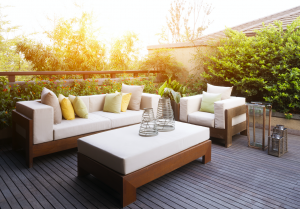 If you deck your space out with comfortable seating, lighting, and heating, you will have a brand new area to entertain guests and enjoy your yard. While a patio can be enjoyed all year round, you will absolutely love having this space at your disposal during the autumn months. 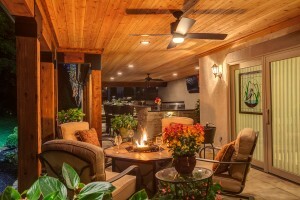 Grab a bottle of wine and some blankets and enjoy the evening on your patio space. One of the most scenic aspects of this season is the falling and changing leaves and colors. Simply put, the more plants you have the more you get to enjoy the reds, yellows, and oranges that signify fall. Now is the time to add additional foliage to your yard. Adding flowers, trees, and shrubs will make your space beautiful now, and will also help it flourish in the springtime. In the spirit of adding more foliage, do not underestimate the power of potted plants. Adding rustic looking pots around the area and filling them with fall-friendly flowers it a great landscaping project. These are easy, DIY projects that can make your space more inviting and can help your colors coordinate properly. Pumpkins are a trademark sign of Autumn. 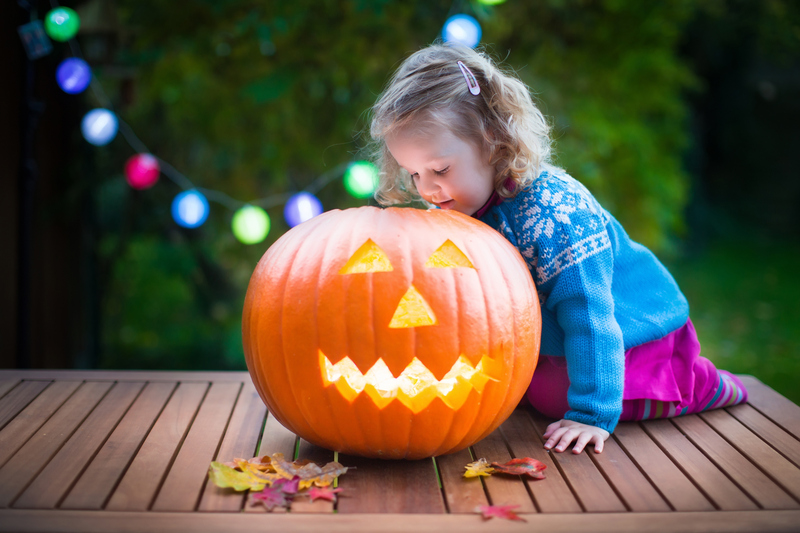 Invest in some pumpkins to display both in your front and backyards. Choose varying sizes and craft a display that gives your home a cozy and festive feel. You can mix things up by carving a few with the kids and adding different fall elements like hay and corn to your displays. Pumpkins are a super easy way to get the desired look for the season. You can also add to this effect by adding gords of various shapes and sizes. Mulching can be a pain, but getting it out of the way while its cool will save you hours of hard work in the harsh sunlight. Mulching your yard has another benefit too; it will make all of your plant colors pop! Your plants and shrubs will need a little TLC for the harsh winter that is just around the corner. This will give them the nutrition and sturdy base they need to survive frigid temperatures and cold weather. Your yard will surely thank you as it thrives with this new mulch job. Since the days are growing shorter, you are going to need to compensate by adding additional lighting. Add some soft, inviting light to your front and back porches to help with entertaining. Invest in smaller outdoor lights around your plants to show off your landscaping at night time. Adding lighting around walkways and paths is always a great idea for both safety and aesthetic. The days might be shorter and the nights might be darker, but this additional lighting will give your space a cozy, homey feel. If you haven’t already, it’s time to fall in love with fall! There are so many outdoor projects and touches that you can add to your space to make it warm, welcoming, and ready for Autumn. If you have ideas for a landscaping feature, don’t forget to consult the experts at Hidden Creek. We will have your space up in running in no time at all! Outdoor kitchens. Creating an outdoor kitchen is one of those trends that is likely to stick around for a long time. It transforms it from just a spot to relax outside into a fully functional entertainment area. Depending on the amount of space available, you can include a variety of useful features for cooking and food preparation. Built in custom cabinets add storage space, and a refrigerator allow you to do all your entertaining outdoors. A true living space. Just because the weather is turning cooler, that shouldn’t mean the end of enjoying your deck for the year. 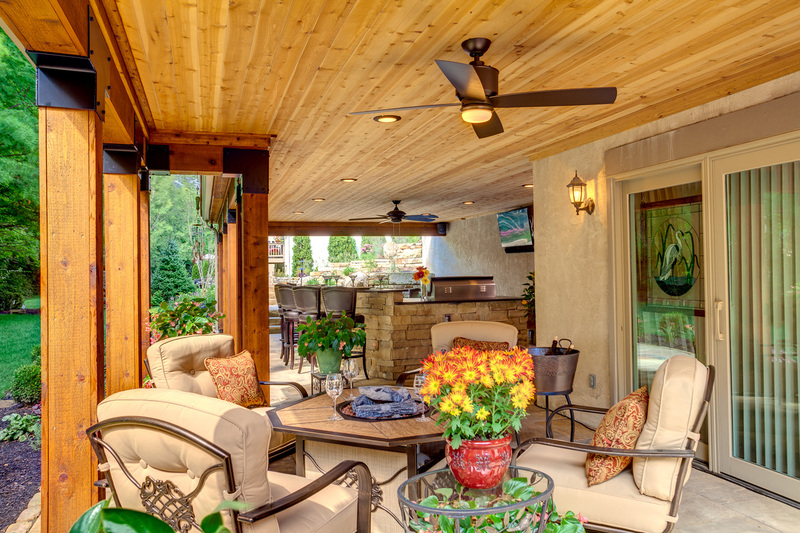 You can use your deck all fall by creating a cozy and comfortable living space. Use furniture and decor to set it up just like a living room. Defined spaces. Rather than just having one open, large area, modern decks are being designed to have defined spaces. For example, you can select a specific area for the kitchen, and another for the living space. 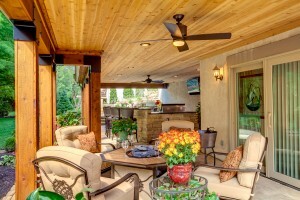 It helps make the deck feel more cozy and spacious, overall. Stylish railings. While a deck railing serves an important safety function, it can also be an integral part of the design. A stylish railing adds an upscale, contemporary look that can really upgrade the appearance of a deck. Consider varied materials, such as metal and glass, for a unique and modern look. Make it tranquil. A deck can be a comfortable living space, but one of the benefits of being outdoors is being able to add things like fire and water features. A soothing zen water fountain can provide a calming element. A fireplace can create a more cozy environment on those chilly evenings. Ultimately, you want a deck that reflects a modern look and feel, and is also fully functional throughout the fall season. Adding a patio to your home, reshuffling flowerbeds, making space for a fish pond, or even something as simple as maintaining a vegetable garden can bring beauty and calmness into your life. 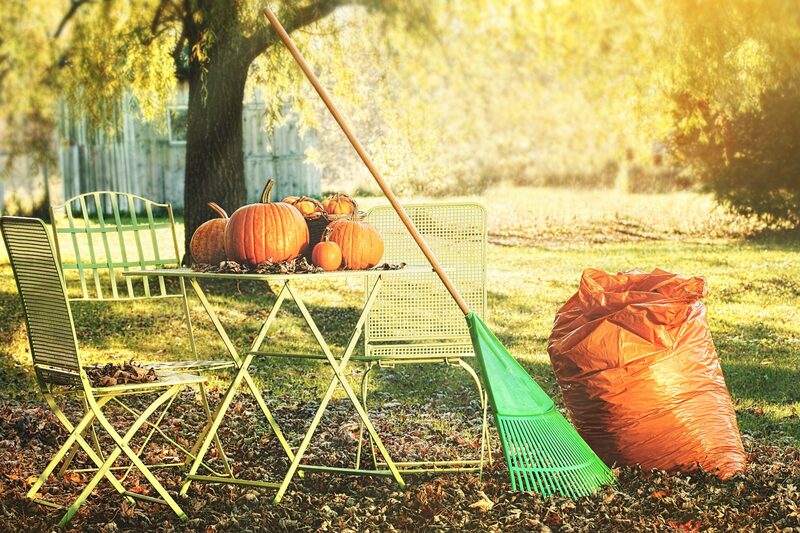 Below are some September landscaping tips for fall weather. Loyal Evergreens. Evergreen trees and shrubs are loyal when compared to deciduous ones, especially when it comes to giving your garden that jaw dropping contrast: lush green juxtaposed with dying and falling leaves. You don’t want to overdo it, so sticking to low-rise evergreens that don’t overshadow other delightful spaces in your yard. Think ‘All Year Round’. Choose plants that thrive through the different seasons whilst the other ones dwindle. Consult with your landscaper on how to incorporate multiple plant varieties. A Fresh Layer Of Paint. They say you never get a second chance at a first impression, but we believe that with landscaping and home improvements, you do. Adding a fresh layer of paint to walls, garden chairs and gutters makes quite an intriguing impression at a time when, quite naturally, everything ought to be dull and boring. With the brilliance of October skies and turning leaves, most of us are eager to get out and enjoy the bounty of Fall events and festivals. Staying in and inviting friends over may be our most frequent choice, but there are times when exploring the wider world is more appealing. There is plenty to enjoy in and around Hilliard, Ohio, during this beautiful season. Locally, our couple dozen parks are at their best this time of year and are perfect outings for family fun, whether it’s heart-pumping hikes or bike rides you enjoy or the tranquility of dipping a line in the water and waiting for a fish to bite. As a special Fall treat, you might enjoy exploring a new park or one you don’t visit often. You can take your best pal — the four-legged, furry one — to Heritage Trail Dog Park for an off-leash romp and the opportunity to socialize with its own kind. The park has separate areas for dogs of different sizes. The splashpad of the park closes for the season Oct. 31. Whether you travel alone or with friends and family, there’s a fall festival for you. Some of our recommended events are planned by the Hilliard, Ohio, Chamber of Commerce. A regional celebration of October’s best-known fruit will require a 30-minute drive. If the 50s (the 1950s, that is) was your decade or you wish it had been, “Cruise In at the Alley” will crank up the nostalgia. Vintage cars, bowling and music of the era are on the program at Tin Pin Alley Oct. 17. This is a benefit for the Special Olympics. An especially fitting festival for the season is just a 30-minute drive. The Circleville Pumpkin Show has carved out a full schedule from Tuesday, Oct. 20, to the final event at 8 p.m. Saturday, Oct. 24. There will be music of many beats, parades of babies, pets and beauty queens along with vendors peddling anything they think will sell. Dishes made of the succulent orange orb will be available along with traditional festival fare. You can find the full schedule at pumpkinshow.com. Then, on Oct. 29, back in Hilliard, the Chamber of Commerce is sponsoring Trick or Treat as a family fun event. Of course, the best times of all may be after the events and between jaunts as you relax and rest in the serenity of your own outdoor-living space. We hope it is. If you have not yet created an oasis at home, why not call us? We’ll be happy to discuss possibilities. Plenty of snacks. 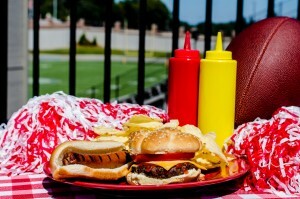 Snacks are a must for any get together, so be sure to stock up for a tailgate party. Grab bags of potato chips, tortillas, salsa, dips, pretzel sticks, and other easy finger foods. A veggie tray is a tasty and healthy option. Keep appetizers coming that you can pop right in the oven and warm up. Coolers for cold beverages. Cold drinks are essential, so keep a few coolers on the patio that are stocked up with water, soda, and beer. Disposable coolers are affordable and convenient. Just make sure to fill them up with enough ice to last through the day. Prepare easy eats. While you’ll have plenty of snacks on hand, your guests will want to east something hearty, too. Prepare a big batch of chili in the crock pot, or roast beef with Kaiser rolls for simple sandwiches. Side dishes like baked beans, pasta salad, potato salad, and Cole slaw are the perfect complement. Fire up the grill. No tailgating party on the patio would be complete with firing up the grill. Have burgers, steaks, hot dogs, kabobs, and grilled veggies for guests to enjoy. Hook up the flatscreen. There’s one thing that a tailgate party absolutely has to have, and that’s live coverage of the game. Hook up a flatscreen on the patio so everyone can watch the action. Light the fire pit. Since it starts to get pretty chilly in the fall, you’ll want to have a heat source so your guests stay comfortable. A fire pit is the perfect place to gather as the temperature starts to drop. Put out a few flannel blankets and outdoor pillows for added comfort. 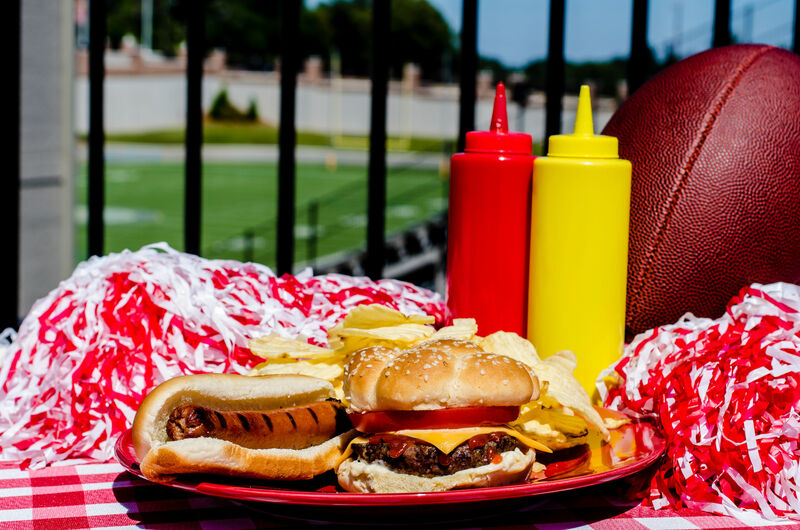 As you prepare for your tailgate patio party, keep these helpful tips in mind. Serving good food, making a comfortable place to hang out, and stocking up on cold drinks will ensure a great time is had by all. Friends and family will love watching the game at your place when you show them that you’re a host who thinks ahead!